Haaaaay body! Where you represent from?? East coast michigan. I could drive a golf ball to cananda. yea party time and GARlic pizza shIts! No foolin'. west coast pizza like ridin' on kinetic backwards through a cornfeeled. . more portedland, oreGAR representation without taxation. hay btw noice work on the webstie maite. now gar pave underground railroad. Re: Haaaaay body! Where you represent from?? yesh yesh. 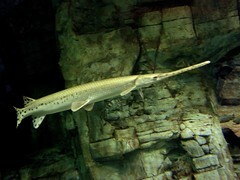 we gone through many gar changes now we try to track down wear the hell all these gar and satelite gars be living. Reppin Hard from B-more Murdaland SON! you ain't know! you ain't even know! we'll say youre bot the first. you evar notice in aberdeen wa, that the sign by starbux says come as you are. nirvana town>>? Looks like he is turning into Kirby and not happy about it. Reno, Nevada. Do I get first?